Movie Poster for Stephen Spielberg's 2012 flim "Lincoln"
The release of Spielberg’s epic movie Lincoln brings up an intriguing question. Was Lincoln as adamantly dedicated to the emancipation of slaves as the movie suggests? After all, there are countless websites, media outlets, and historians that claim Lincoln only desired emancipation, not for humanitarian purposes, not for the sake of those enslaved nor for the sake of egalitarianism, but only as a means to end the Civil War. Others, like this Time magazine book review, have raised the question of whether Lincoln was an outright racist! When teaching the history of the Civil War, especially in light of Lincoln hitting the theaters recently, these questions pertaining to Lincoln’s devotion to the cause of abolition are highly pertinent. An effective way for teachers to delve into the question of the Lincoln’s publicly-stated views on the nature of the war is to have students read the actual words of the man himself! The Teaching American History website is a treasure trove of historical documents from the American past. Doing a simple search within this site for a letter Lincoln wrote in August 1862 to New York editor Horace Greeley can start learners down the path of answering these questions for themselves. Note: it is highly important that students understand the historical context of this letter. It would seem on the surface to imply that Lincoln’s sole purpose in waging the war was to preserve the Union. Certainly that was his publicly-stated goal up to August 1862. However, note that the preliminary Emancipation Proclamation was written about one month later. Lincoln had been waiting for a good news from the battlefield to release such a statement (the near-draw at Antietam had to suffice, won in late September 1862). Looking at these two documents, students may bring up the point that it does not seem that Lincoln was publicly professing full commitment to black equality. The nature of the war, they may say in so many words, was only to preserve the Union, and any talk of emancipation seemed to be only geared toward that end. They may have a point. Leave them with that thought at the end of your time in class with them. Tune in to the next installment on this blog for further food-for-thought. The release of the cinematic masterpiece, Stephen Spielberg’s Lincoln, is a boon for history teachers nationwide. This movie will certainly be nominated for multiple Academy Awards and draw countless millions to theaters. Even middle and high school students have been caught up in the rush to see this mature, adult-targeted film. History teachers have a grand opportunity to capture the hype surrounding the movie to engage learners who otherwise may not be as accessible. Following the indecisive Battle of Antietam Creek, President Lincoln replaces General George McClellan with General Ambrose Burnside. Burnside immediately submits a plan to race Robert E. Lee’s Army of Northern Virginia to Fredericksburg and on to Richmond. Lincoln accepts the plan and the Army of the Potomac marches to Fredericksburg. But extremely poor planning causes the pontoon bridges for crossing the river to be left at the end of the baggage trains allowing to Lee to concentrate his army and prepare for Burnside’s assault. After introducing students to the importance, context, and outcome of the battle, the teacher can then direct students to the animations of the battles, found here. Notice, the animation begins with another historical survey of the battle. After students have read and internalized this, the teacher can direct them to the actual battle maps. When students click on “Play,” the animations begin. The progress of the battle is then animated step-by-step, with helpful narratives displayed and sound effects included. Fittingly for a history class, the final scene provides excerpts from primary sources that gave contemporary commentary on the battle’s outcome. The White House at 1600 Pennsylvania Avenue--the prize yielded by the result of the Electoral College process. 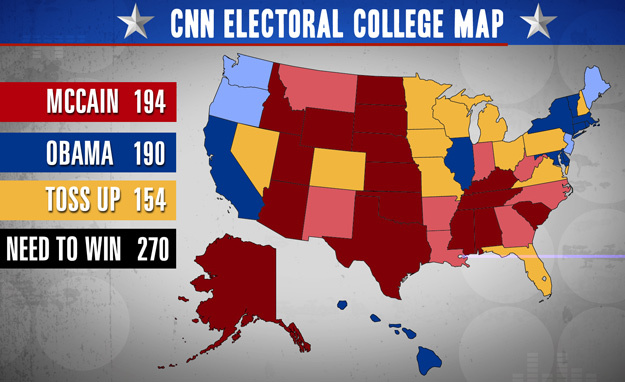 The last post centered on the Electoral College. This post expands on that topic, offering a follow-up lesson. As stated, the Electoral College is often seen as antiquated and is rarely understood by the general public. The previous post centered on a PBS lesson was beneficial for introducing the subject to students. C-SPAN has a lesson that can build on the basics of the PBS lesson, as teachers strive to educate students on the topic. This C-SPAN lesson is advantageous for many reasons. First, it utilizes C-SPAN videos of previous inaugurations and debates over the utility of the Electoral College. Second, it challenges students to think on a deeper level than the PBS lesson. Lastly, it delves deeper into the Constitution than the PBS lesson and it has the student analyze Hamilton’s Federalist 68. Taken as a second step, with the PBS lesson being the first, students that have also engaged in this C-SPAN lesson will be much better prepared to not only understand what the Electoral College is and how it works, but also to critically analyze its benefits and drawbacks. The Electoral College certainly provides political pundits the opportunity to hypothesize ad nauseum. Many students ask the question, “What is the purpose of the Electoral College?” Questions abound about the utility of the system, about whether it is out-dated, about why America doesn’t elect presidents based on popular vote. Answers to these questions require research and study. PBS provides a useful website that includes a lesson plan concerning the basics of the Electoral College and to analyze its role in American politics. Students are asked to delve into the National Archives site on all things Electoral College in order to understand how the operates, why it was set up that way, and what advantages and disadvantages surround it. One of the positives of this lesson it that it allows students to draw their own conclusions. One drawback is its link to the Federal Elections Commission. Essentially, students have to navigate around the FEC site without much direction, and they will end up at the exact same site as the National Archives link provided. The Election of 2012 is coming to its official close. The next step on the calendar in the process of selecting a president is Inauguration Day. Edsitement provides a very creative and thorough examination of all things inaugural. Titled “Inauguration Day: I Do Solemnly Swear,” this site contains analytical guiding questions, a wide range of materials, and extensive usage of primary sources, all the while asking the student to critically engage the content. This could be the perfect compliment for teachers wishing to inform students of the importance of this civic ceremony. There are five activities in this lesson. They introduce the constitutional requirements for the oath of office (from Article II and the 20th amendment), the Founders’ debate on what phrasing should be included in the oath, and describes the celebrations of different inauguration days. At every step of the process, students are engaged with images and documents from the American past.